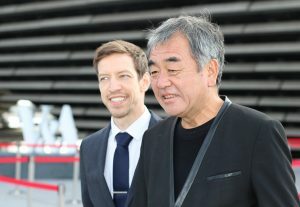 I think Kengo Kuma has given Dundee, Scotland and the world a great new building. The light show looked remarkable last night, didn’t it, as the V&A building came to life through the extraordinary lighting and fireworks, and celebrated by great music and great performances by young people from across the city? It is a very special moment for this city, it feels like an historic occasion this morning, doesn’t it? 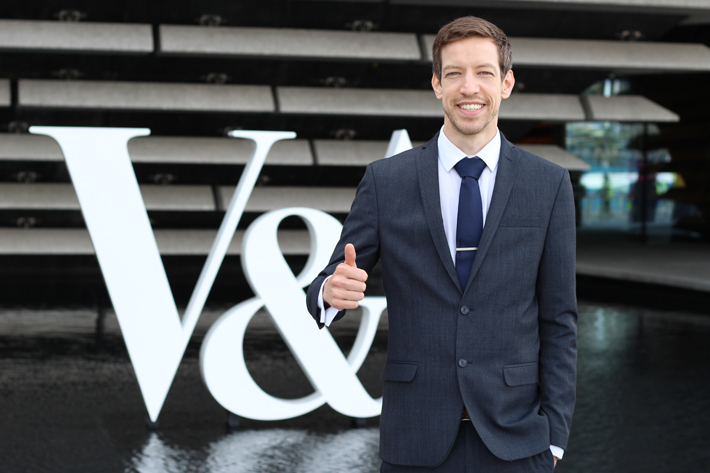 I came to work in this city seven years ago to take responsibility for the V&A Dundee. 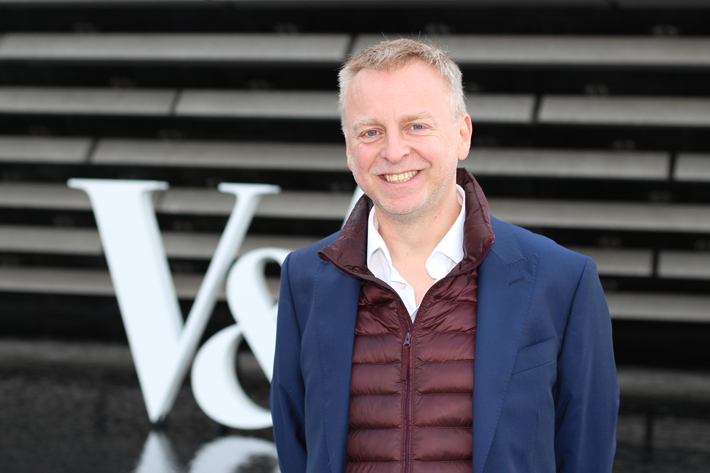 It was an idea, it was a dream, and people across the years most commonly have asked me, “Why V&A and Dundee?”. Well, I don’t think there is any doubt in people’s minds this morning that this is something that is going to have a fantastic future here. It gives this city a sense of optimism and confidence, and a sense of achievement; if we can do this, what else can we do? So let’s use this moment to plan for the future. Get to Dundee and see what’s on offer here. It’s a fantastically great city, it’s got an amazing college of art and design, it’s got a wonderful Dundee and Angus college, it has a great music scene, people here are very passionate, and it’s got a magic which is hard to express. 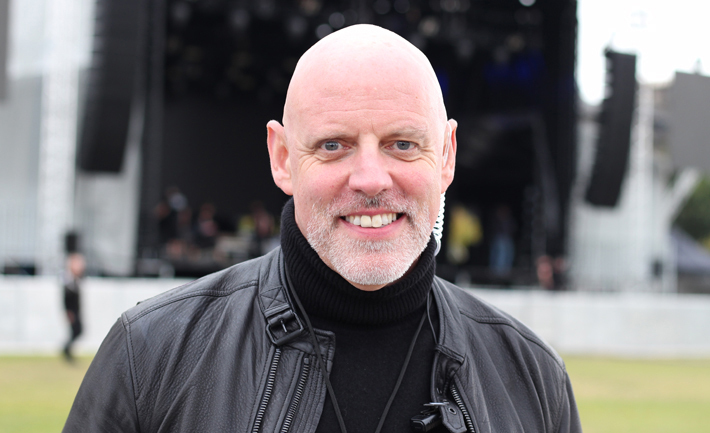 So if you want to come to a place that’s exhilarating, offers lots of opportunity, it’s got spirit, it’s got energy, where the people really care for each other, and where you can also, as Primal Scream would say, “have a good time”, then this is a good place. I’m privileged; it’s absolutely phenomenal to be in this position at this time in Dundee’s history. I’ve had goose bumps for the last three days and every time I think about what the V&A has already done before it even officially opened its doors today, and what it’s going to do in the future, is just phenomenal. This is just a stepping stone, this is just a milestone, there are more things to come, we’ve gotta keep reinventing and reinvigorating what this city’s about and what we’re trying to do. There is a tendency to wait for doors to open up or things to land on your lap. My attitude is that we should be kicking in doors, you make your own future if you’re determined, and the phrase that we coined within my team in the council is “Bold, Ambitious, Action”, and that’s what it’s all about. You’ve got to be bold and you’ve got to be ambitious and you’ve got to deliver, because ultimately it’s things like this V&A building that will stay in this city for a hundred years, or maybe two, and the benefits of that will go on forever, and that to me is what it’s all about. For this relatively limited amount of investment, we’ve already got it back tenfold, it’s phenomenal. I grew up in Kirkton in Dundee and my family are still there, so I’ve always been in the community. I worked in a local shop in Trottick for fourteen years and for three of them I was a councillor at the same time, so you could come and get your pint of milk and loaf of bread while speaking to your councillor, ha ha ha! I blame my gran, Moira Alexander, for getting me into politics because she was a stalwart of the community. She is my inspiration because I saw the benefits she was doing as a volunteer, trying to shape her own wee community, and I thought, “well actually, instead of me sitting on the side-lines bleating on about that’s rubbish or this could be better”, I thought, “do something about it, pull up your socks and get out there”. So that’s hopefully what we are doing, shaping the future. It was a real privilege to be involved and to get to work with so many creative people based in Dundee to pull it all together. It was a big team and a big technical team and a lot of hours put into it by a lot of people. I thought Primal Scream were amazing, they really got the whole idea with the design collaboration with Jim Lambie, who took his inspiration from the Tay and the V&A building. It just felt wonderful to see it all come to fruition and at the end of the night we wanted to engage and talk with the building, so the ‘ping pong tennis’ theme lighting on the V&A building was a nod to the gaming industry in Dundee, and when the DJ started playing “Smalltown Boy” it was amazing, and then suddenly the drums coming in and fireworks going off and then the V&A building was having a party, ha ha ha! It really was meant to be representative of Dundee welcoming the V&A. All those images have gone worldwide, which is wonderful for the city, and hopefully the V&A will have the same effect on Dundee that the Guggenheim had on Bilbao. I think there is so much potential, creativity and great spirit here. The young kids that were involved in the celebrations, including the Sistema Choir, will never forget that they were part of history. That’s a moment and memory to cherish for the rest of their lives. Young people don’t need to move away anymore. I think in the past people felt that they needed to move away and now you can live and work here as it’s a fantastic city. City Life also caught up with some of the musicians performing at the opening celebrations and some famous faces who were in town. Use the links below to read more or to see our photo gallery.